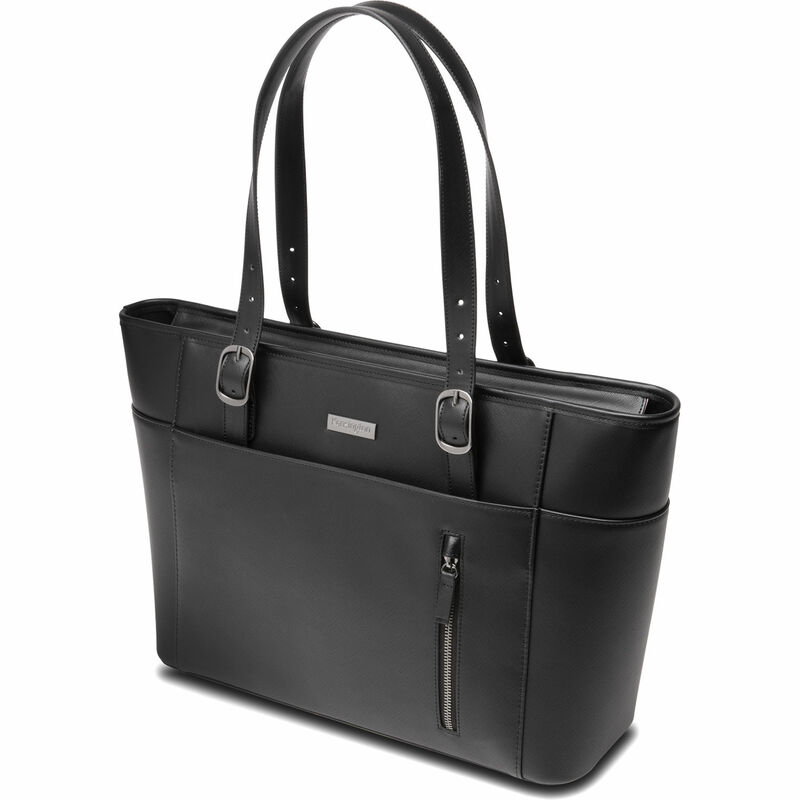 Store a laptop as wide as 15.6" with extra space for your tablet and phone with this Laptop Tote Bag from Kensington. This sleek bag offers plenty of packing space in its main pocket, which is padded for protection and features an organizer section near the top to neatly hold your phone and pens. A small zip pocket on the front of the bag offers easy access to compact items. The bag features a black faux leather exterior for both style and durability during everyday use. Its zipper closure helps ensure that nothing will fall out during transport, and conceals the contents of your bag from unwanted viewers. Two adjustable handles provide a comfortable fit when carrying the bag over your arm or shoulder. For long trips, an integrated panel allows you to secure the tote to the handle of your wheeled luggage so you can safely transport multiple bags at once. Box Dimensions (LxWxH) 17.1 x 9.9 x 5.7"